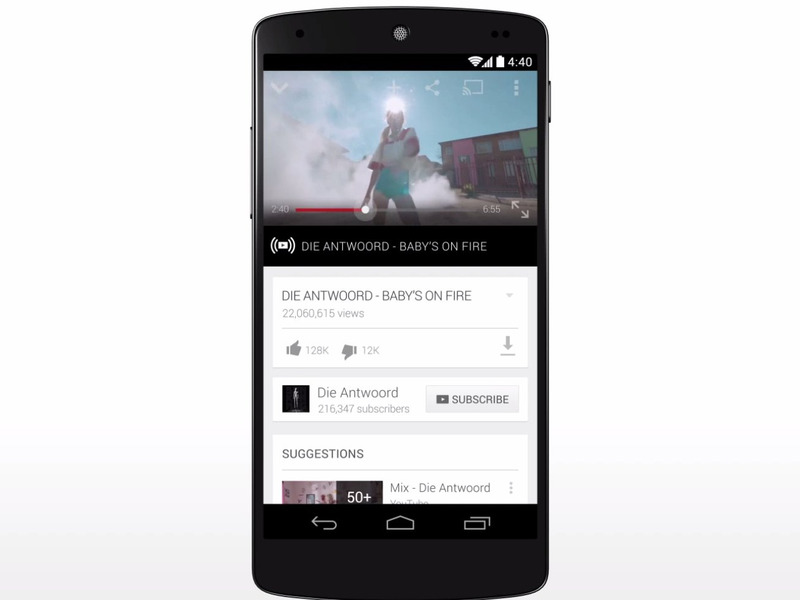 YouTube will soon roll out a paid subscription service that focuses on music videos. The service will allow YouTube users to watch music videos without ads and then save those videos to view when they’re offline, the company announced on Wednesday. The service will be called YouTube Music Key, and it will initially launch in beta which means it won’t be the final version. It will cost $US7.99 per month and will give you access to ad-free music, the ability to play songs in the background even when the YouTube app is running in the background, and offline viewing. Google is also throwing in a subscription to Google Play Music. The idea is to make it easier to use YouTube as a music service similar to Spotify — at least that’s the way Google describes it in its blog post. Now, you’ll be able to browse through an artist’s full discography. Google is starting by adding a new section just for music within the YouTube app that shows your favourite music videos and recommendations.